At 200 metres above sea level, see Cairo with fresh eyes, as tranquillity is reborn beneath the city’s warm skies. Discover 4.5 million sqm of luxury, indulgence and comfort within a few minutes from 6thof October Bridge and New Cairo via Emaar Drive. Uptown Cairo is a glowing jewel set high above sea level and overlooking the stunning yet rowdy metropolis of Cairo. The exclusive development is renowned for its remarkable golf and city vistas within its mountainous surroundings and landscaped gardens. The seductively eloquent Golf Clubhouse leaves no room for imperfection, with a warmly polished interior that transcends into a lush golf landscape. Winner of the “Clubhouse of the Year” award from world-renowned Golf Inc. magazine, the luxurious Golf Clubhouse at Uptown Cairo is reminiscent of a Spanish palette of colours. The divine unity of rich earthy tones and green grass form a vision of perfection matched only by Cairo’s skyline in the horizon. The clubhouse is home to cafés, restaurants and bars that offer a mixture of indoor warmth and al fresco settings overlooking the golf course and dazzling city lights. 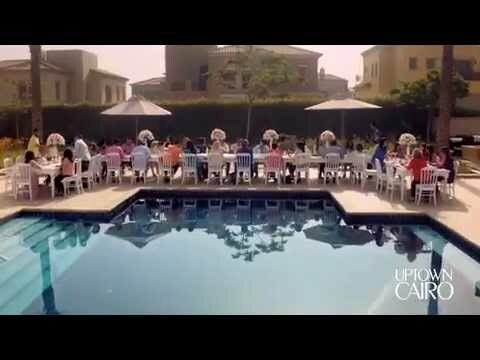 Uptown Cairo prides itself on the high level of security and ultimate privacy enjoyed by every village and community. With a comprehensive CCTV network monitoring all areas of the development, an adequately trained and equipped security force and core security management systems, there is no denying that Uptown Cairo is a safe environment that rewards its residents with utmost peace of mind. No community is complete without an educational edifice, and Uptown Cairo brings the very best of education by partnering with Esol Education to inaugurate a new campus for the American International School in Egypt (AIS) within its premises. The 40,000 sqm campus will grant the children of Uptown Cairo an unrivalled quality education only a few minutes away from home. Emaar Community Management (ECM) is a pioneer in providing facilities and community management services and was established with the objective of fulfilling Emaar’s promise of delivering lifestyle communities to our customers. The Community Management department is staffed with a highly trained and professional team, all of whom strive to provide the highest quality service to our homeowners and act as orchestrators, ensuring that the quality, timeliness and image of services meet the expectations of every Uptowner. Additionally, ECM sets up and supports owners’ committees and liaises with the local authorities to ensure compliance with relevant laws and regulations pertaining to jointly-owned property schemes. The team is also dedicated to enhancing the liveliness aspect of the community through year-round events & communal happenings. Every Uptown Cairo village boasts its designated and exclusive community centre that brings neighbours together and serves as an epitome of relaxation and convenience for our residents.The ultimate venue for afternoon and weekend family gatherings, each community centre includes indoor and outdoor lounges, a swimming pool, a kids’ play area and game rooms. The natural springs and rich soils of Uptown Cairo induce the need for an international spa on the development’s inimitable grounds. The Uptown Cairo spa, with its revolutionised amenities and world-class practises, will offer complete remedies for relaxation and meditation to stimulate and restore your wellbeing. 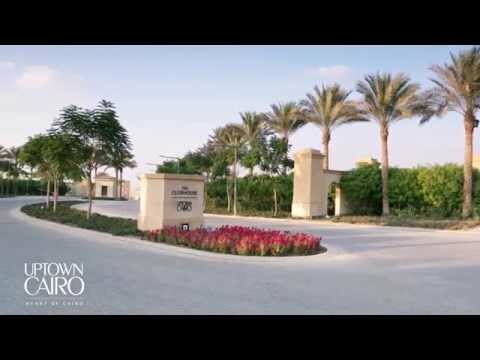 Uptown Cairo has claimed a number of prestigious awards that attest its dedication to excellence and commitment to outstanding planning, architecture and landscaping. Emaar Egypt is proud to announce that Uptown Cairo’s Levana Village has won the prestigious 2014 FLASLA award for Planning and Analysis. Granted to an Egyptian development for the very first time, the well-earned and –deserved FLASLA award of merit recognises the outstanding planning, landscaping and architectural work of Levana. The village is elevated on six cascading plateaus that rise 30 metres, where every Levana home enjoys direct views of the spectacular golf course and Cairo’s skyline. Levana’s design concepts embrace uniqueness and innovation, with winding roads and pathways among manicured gardens and gently sloping highlands. Winner of "Clubhouse of the Year" award, from world-renowned Golf Inc. Magazine, from among 70 international competitors. The Uptown Coif Clubhouse is reminiscent of a rich, earthy Spanish palette of colors and textures. Warm and inviting, yet sophisticated and elegant with a generous number of venues to choose from to host the perfect event, the Uptown Golf Clubhouse has it all. From intimate board meetings to extravagant dream weddings to restaurants with a variety of cuisine offerings, the Uptown Golf Clubhouse, which is now operational, is a true testament to a life full of luxury.